To help you measure up and obtain a free estimate follow this simple step by step guide. You will need a tape measure, pen or pencil, paper and calculator to hand. When measuring a room, simply measure from the furthest skirting board at the longest and widest points of the room, usually into doorway. Take care to measure into any bay windows and door frames, as the carpet will be fitted under the door. Always add 6cm minimum to both the length and width of your measurements to ensure there is excess for fitting. 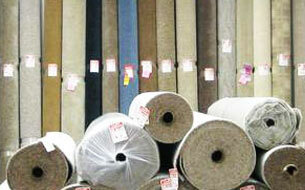 Our carpets are usually 4 metres in width. Therefore, once you have ascertained the room width, you will need to check that it is less than the width of the carpet you are buying to avoid any joins. Now you have your room size simply request a quote informing us of your flooring choice, measurements and we will provide you with a cost including fitting within 24 hours. Always begin your measurements in the centre of doorways rather than the bottom of walls. for instant advise or to arrange an appointment for one of our trained fitters to visit your home and measure up to help us provide you with a FREE no obligation estimate.